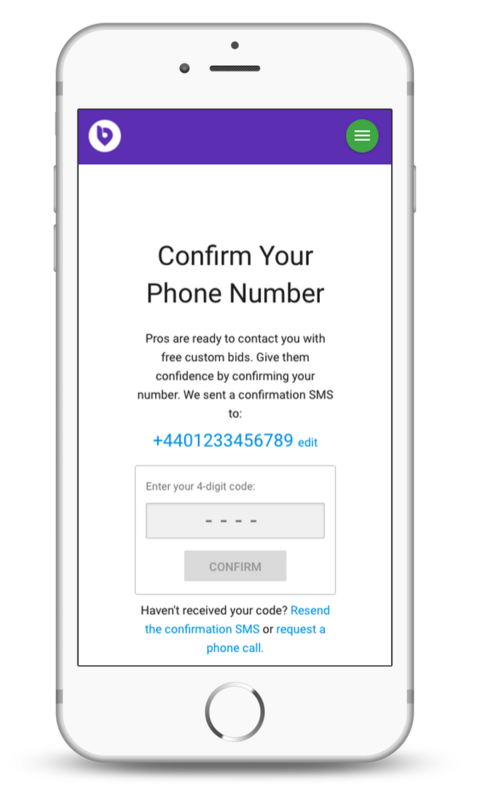 With all requests on Bidvine, you have the option of including your phone number so that you can be called by directly bidding professionals. If you wish to be phoned by professionals, please indicate this when submitting your request on Bidvine. If it is your first time using your phone number on Bidvine, you will be prompted to verify it. To verify your phone number you will be sent an SMS with a 4-digit code that you will need to enter on Bidvine. Alternatively, if you do not wish to receive an SMS, you can receive an automated phone-call that will recite the same 4-digit code. 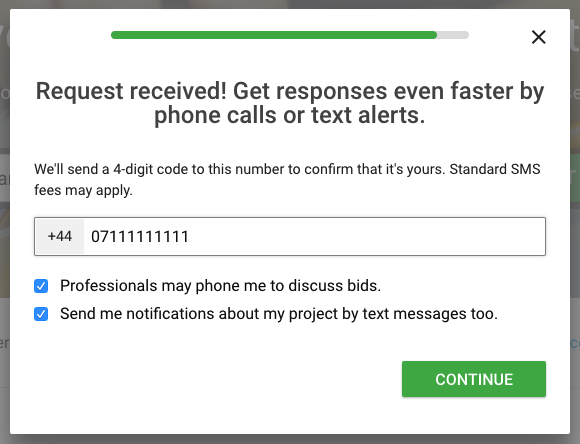 Once your phone number is verified, it will become visible to any of the professionals that have or will bid on your request.